Hemp oil has a perfect blend of Omega-3 and other essential fatty acids that is superior to even flax and chia. Cajun Berry Minis are a nutritious soy, corn and peanut-free pellet alternative. 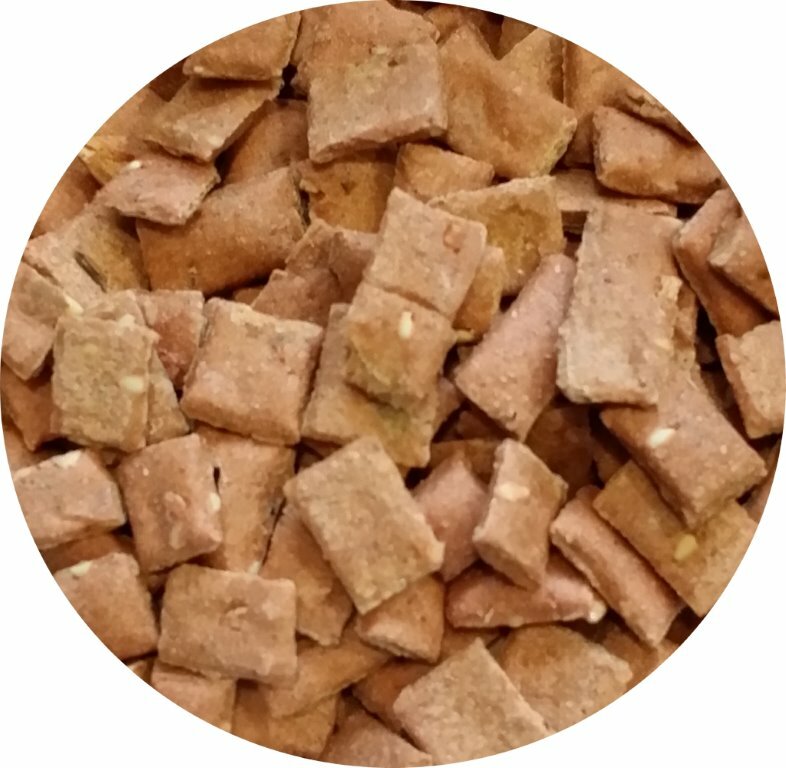 Crunchy petite squares have an intense spicy flavor; offering the heat of cayenne pepper that parrots love. Kamut® flour base offers a nut-like taste. Ancient grains such as kamut are well tolerated by wheat sensitive birds. Cajun Berry Minis ideal for all small birds and are also relished by larger parrots. *Add Cajun Berry Minis to any good quality seed mix or serve a 1/2 tsp as a treat.